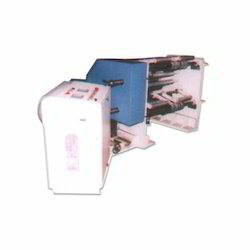 We are one of the leading manufacturers and exporters of high quality Slitting Machine. This product is widely used for rapid cutting and clean cutting of sheet metal, and profiles or pipes. This product is known for its high speed and low production cost. Driven by an intense desire to achieve perfection, our team of experts assures effective, safe, and timely delivery of this product. This product can be custom designed as per the requirements of our valuable customers.